As mentioned on AIGA ‘s website— Design for Good is an ethos to use problem-solving and design thinking towards social change. … Design for Good recognizes the wide range of designers’ work and hands-on leadership and professional development opportunities, which benefit the world, our country, and our communities. Analyze hip-hop lyrics for the mention of Trump and Obama and compare the annual average sentiment. Of course, I knew that the outcome might not be perfect, but as a hip-hop head, I was excited to see the outcome. Here is my working hypothesis I started with: Between 2000 and 2018, I believe that lyrics containing Trump will start higher in sentiment and go lower over the chosen time frame, Obama will begin neutral and go higher in sentiment within the same time frame. What do Pepsico, Target, and New York Times have in common? Last year I attended The Design of Business and The Business of Design conference at Yale School of Management. It was two days of mingling with high energy creative thinkers and strategists. The design industry has evolved so much. When I went into ‘applied arts’ some decades ago, spending money to go to art school was looked upon with a different lens. Especially in India where I grew up you either became a Doctor, Engineer, Lawyer, or CPA. But if you decided to go in the arts or design… you were an odd ball, maybe considered a loser too because you would not be able to support yourself. In the early months of 2018, I found myself in between client projects at Whamix. This was unusual, as Whamix usually kept me pretty busy. I was unsure how to spend the handful of days between the completion of my previous project and the start of the next. With the encouragement of the CEO, Sunil Shah, I spent the time developing an experimental game that sought to investigate the potential of unique genre combinations. I began my research by looking to existing mobile games, which provided an abundance of material to draw from, but I decided early on that I was most interested in types of play that prioritized thoughtful decision making and accessibility over more action-oriented and skill-based mechanics. Playing at the confluence of visual novels, doctor sims, and classic text adventures, the project evolved into an experience I named Monster Doctor. We recently worked on a Fortune 500 client project. Our initial creative brief was all about a mobile design solution. We started researching Google Material Design for the same. After some initial research, we liked what we were seeing. We decided to take on the challenge and design with Material system. As the creative director my first goal was to think about branding and visual hierarchy. I wanted to make sure that the client's brand was extended into this new system. A few months ago we were presented with a challenge to create a detailed matching service. The route chosen was to match a human to a pet that truly fit their lifestyle needs in terms of data points that are often overlooked such as time constraints, training abilities, or monetary limits. The start of this work coincided with the release of Google’s new Material Design visual language. 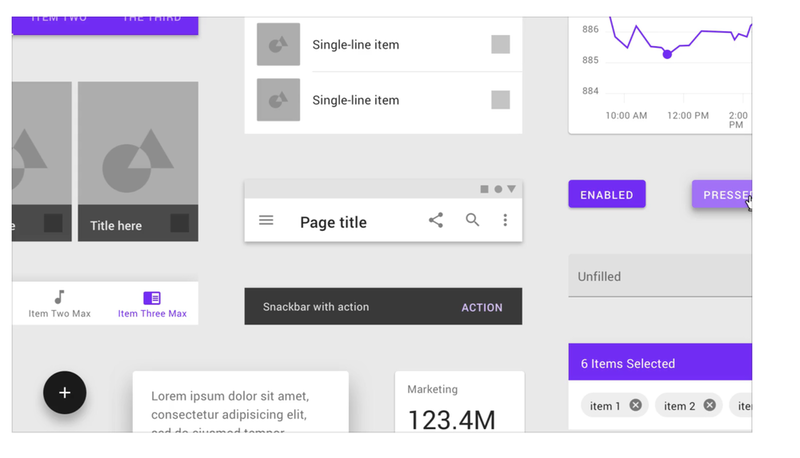 We jumped on the chance to create this matching platform using Google’s Material Design as it demonstrated a consistent and visually pleasing design language and we were intrigued by the tools it provided. We then built Pet Story with Google’s Material Design and got to see first hands its strengths and current limitations. The result was something we were excited about. Recently Alex, Kate and Aynne invited me to hang out with the super talented Interaction Design students at CCA. Amongst other things, we talked about innovation from a maker's perspective, emerging technologies, the importance of storytelling and a creative approach to lean focused on Minimum Viable Question (MVQ). Far too often teams jump into MVP without knowing the MVQ. -- at Pixar we called it the heart of the story (Emma's Rule #14). Portland: The city you know either for the interminable titular IGF sketch comedy series or for it’s noticeably disproportionate ratio of Black Lives Matter yard signs to actual black people. However you’ve come to regard our city, you should know that Portland also features a burgeoning independent game development community. 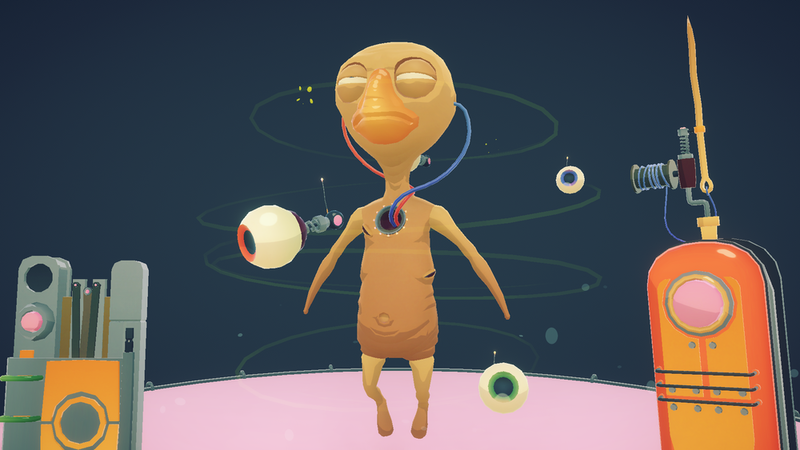 Spearheaded largely by PIGSquad, or the Portland Indie Game Squad, there is an ever expanding schedule of monthly and annual events attended by a steadily growing number of artists, developers, and enthusiasts. Personalizing customer experiences to be more inclusive presents a tremendous opportunity! This can apply to everything from high level brand narratives to specific UX/UI design considerations. Yet, most companies and design teams limit their concept of inclusiveness to accessibility — which is great and we certainly need more of it — but there is creative opportunity to do so much more. The core challenge of creating inclusive experiences is the same one that accessibility practitioners struggle with constantly. How to help product, design and engineering teams develop empathy for a perspective that they, as individuals, don’t necessarily have. A problem eloquently articulated by Anne Gibson. Our biases and stereotypes are quickly baked into our service design flows and technical stacks. Josh Lovejoy uses Shirley cards to bring the entire notion of “default” into question and how formative that is to the rapidly emerging world of AI/ML. In the Creative Technology innovation team at Capital One we recently completed a project where personalization was at the heart of making the narrative experience come to life.